1) Saturday and Sunday is going to be very warm across the area. High temperatures will reach into the 50s both days for most areas. 2) The cold front will pass during the day on Sunday before stalling to our south. Exactly where this front stalls will be key. 3) It's going to be a race between the best moisture and cold air. 4) If the front sets up 50 miles farther south (like the nam) or 50 miles north (like Euro), this gets shifted either way. 5) This will likely be highly elevation dependent, which I tried to outline in my map. 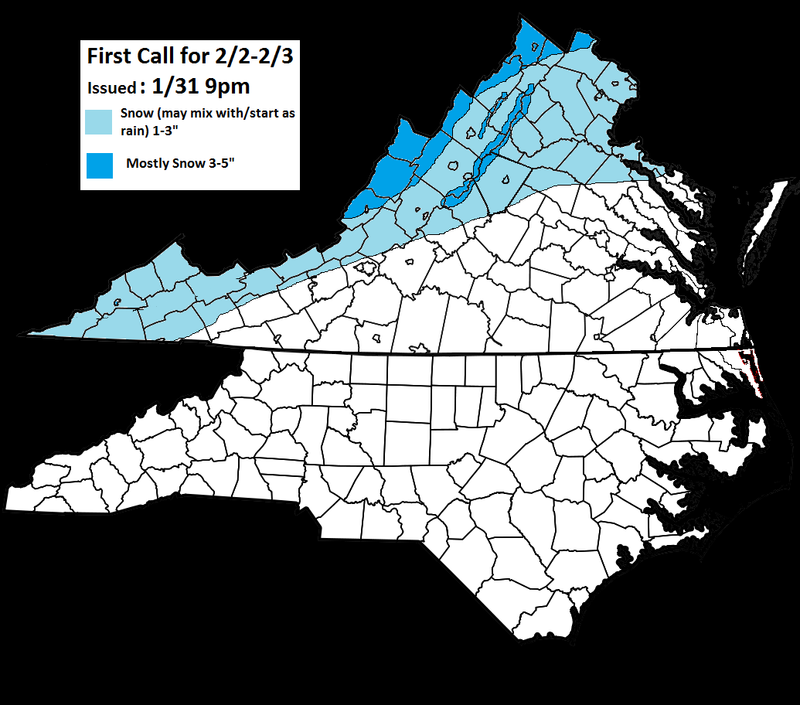 6) Second Call map will be out by tomorrow night; final call out Sunday night.